It has lovely sweet bun with beautiful sesame seeds consisted of tender beef patty, nice color and it sure tasty also juicy, i could finished it in 10 minutes. 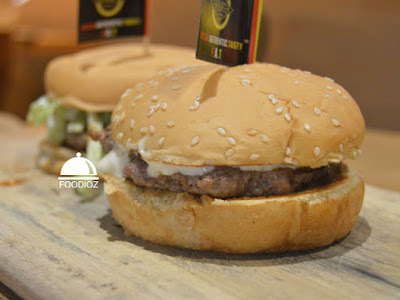 Another burger i have is Classic BBQ Burger. 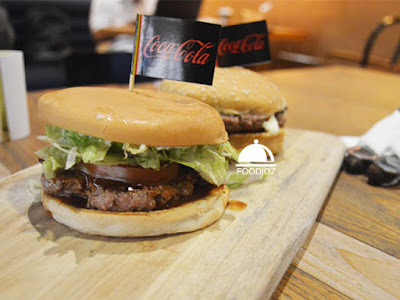 This one it quite different, other than the flavor, this burger consisting of vegetables and tomato. But i do not taste a BBQ much, it is too plain actually than the previous one. 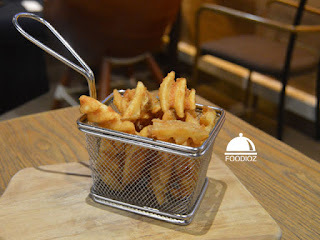 After two burgers, i also having a waffle fries, as normally fries it has crunchy bites of it. But what i love it the chili sauce absolutely different than normally bottle sauce i bought at the store. It has more delicate taste.